The term is an abbreviation of the Portuguese “futebol de salão” or the Spanish “fútbol sala”, both of which mean “indoor soccer”. It is a scaled down version of conventional soccer and it is played by two teams of five players each, including a goalkeeper on each side. It is played on basketball-sized courts, on a variety of surfaces both indoors and outdoors. The game does not require the use of expensive dasher boards, but has instead the normal touchline boundaries with no wall to smash the ball (and the bodies) against. The ball is a smaller size (size 3 or 4), heavier and has a dampened bounce. Futsal is the official five-a-side indoor soccer game and the only indoor soccer recognized by FIFA. 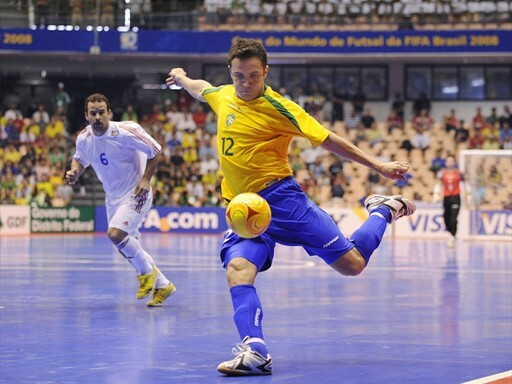 Futsal is slated to become an Olympic sport in 2008, which will create added interest and deeper growth. How is Futsal different from classic soccer? The rules of the game are similar to classic soccer with certain modifications to allow for the reduced space.